‘Felia, Felium’ is a three act video work. It examines the value of life and how we often treat the lives of others with little regard. ‘Felia, Felium’ is a collaboration between artist Annabel Konig, composer Donal Hurley and image compositor James Dunbar. 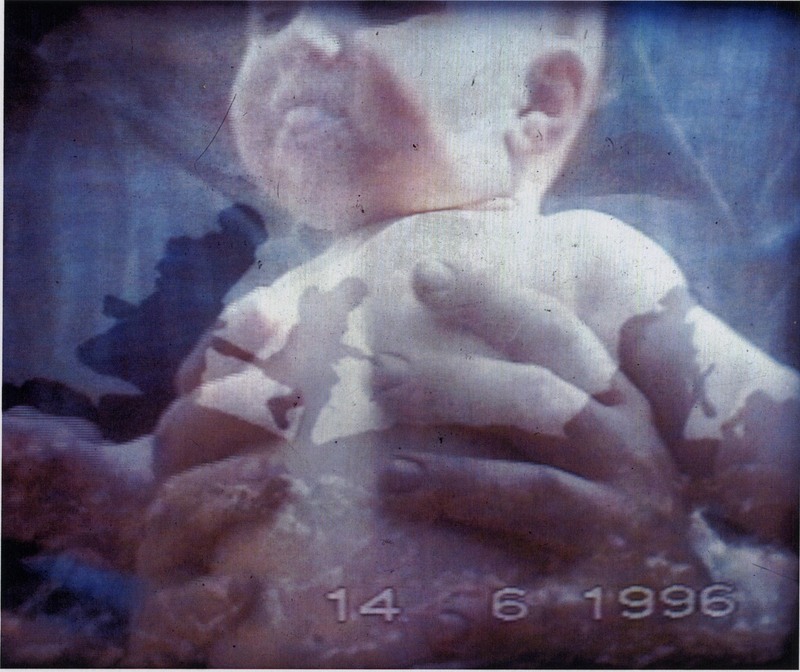 The work was grant aided by the Arts Council of Ireland and received the Arthouse (Dublin) project award in 1997. The work was the runner up in the Kilkenny Cream of the Irish Awards in the multi media section and extensively reviewed in the media. “Life is fragile and yet it has great strength. An early pregnancy can disappear in a miscarriage; one in four do. On the screen, the fragility of the soft, knitted, white plus sign slowly unravels and then builds up again. We watch it gather strength and solidity as it runs from one TV screen to the next. In all there are 7 screens, placed on the floor and finally on a large block of 9, stacked to form a 3 x 3 video image. The image slowly dissolve from one to the other, allowing us to follow the story. The placing of the TV form the curve of an embracing arm, containing within it precious life. Next comes the story of that life. 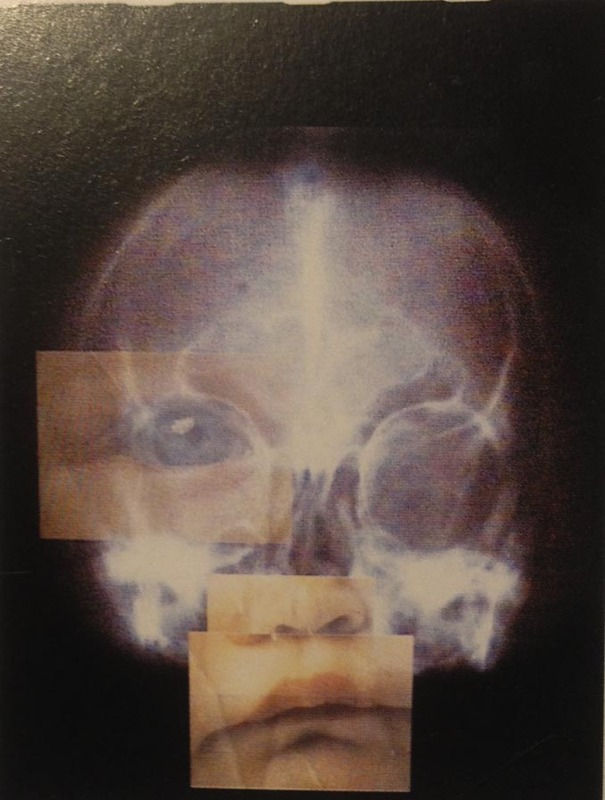 Images from real life, drawings and video clips lead us through the stages of development, an eye, a nose and a mouth, all appear on an x-ray of a skull. The music is an integral part of the experience; we hear internal noises, children in swimming pools laughing and splashing as if we are listening to the baby within the womb. Then the sound of a woman breathing, slow at first but then growing in intensity as the moment of birth arrives, her voice as well as the baby are bursting into this world. The third act presents us with a series of images of young children, families laughing, moments of childhood and a life worth treasuring. Juxtaposed with these are images of death, a black man killed because of his colour, men running on into war, victims of cold weather, all those nameless people who die each day and for whom we do not spare a thought. The song ‘Twinkle, Twinkle, little star’ softly, as if to put us to sleep, mingles with the final shot of a baby smiling, proudly showing off his two new teeth”.